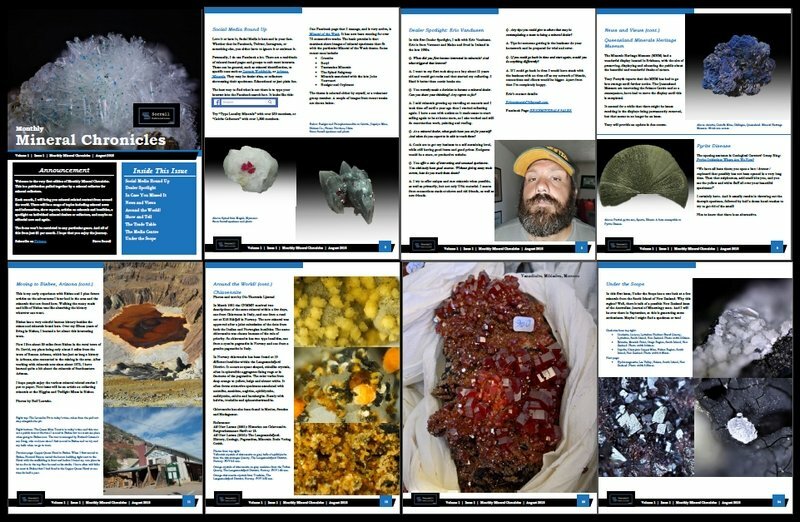 This is a publication pulled together by a mineral collector for mineral collectors, with content provided by mineral collectors from around the world. 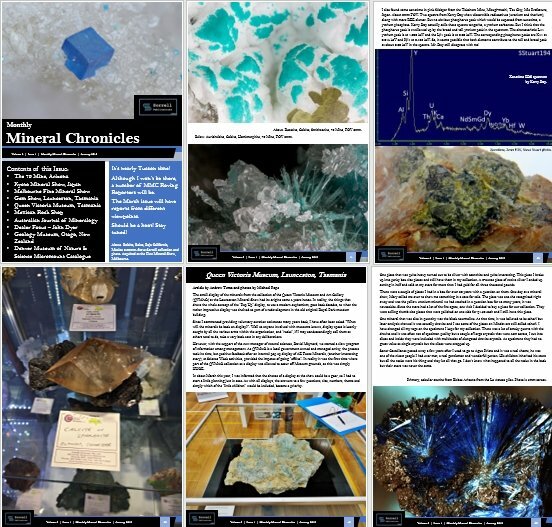 Each month, I will bring you mineral-related content from around the world. 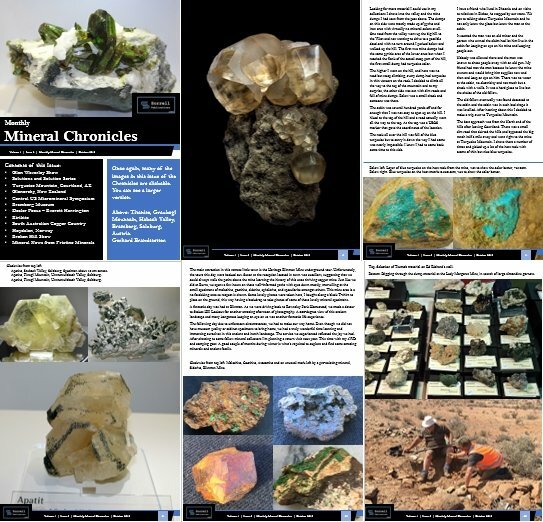 There will be a range of topics including mineral news and information, show reports, articles on minerals and localities, a spotlight on individual mineral dealers or collectors, and maybe an editorial now and again. 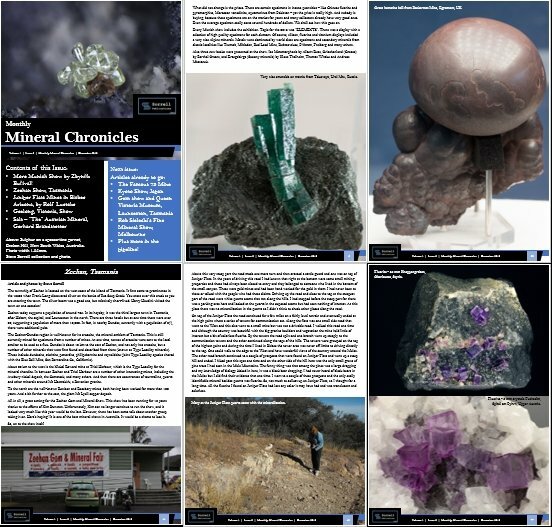 New this month, for some images, is the ability to click on the image to bring up a larger version. Not all as yet, although I will move towards that in time. 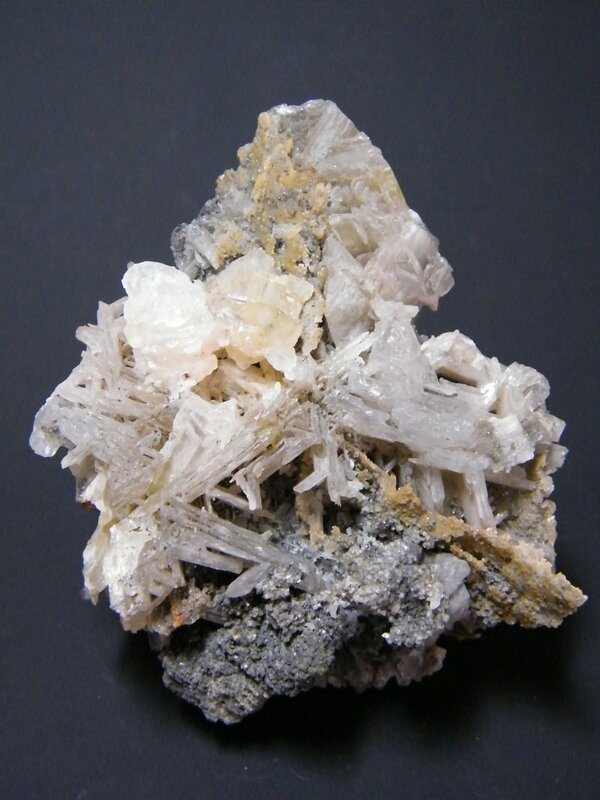 Flinders is a well-known collecting locality in southern Victoria, Australia, most notable for its zeolite minerals, particularly gmelinite. 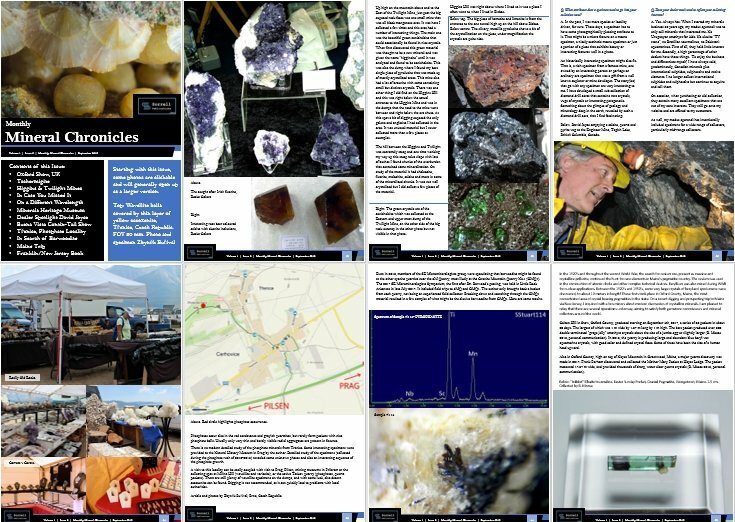 This 72 page full-colour publication explores the minerals that have been found here. 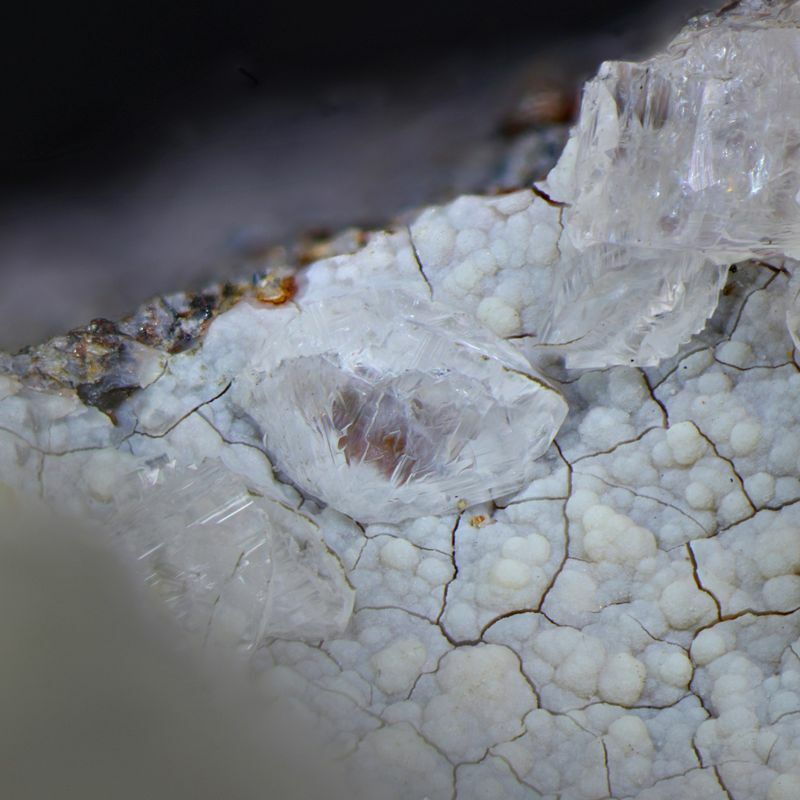 Dimensions: Photo width 3.33 mm. 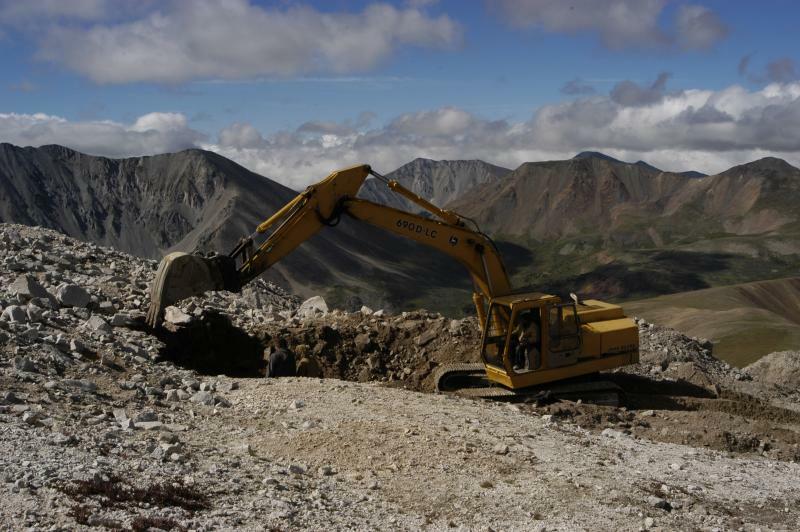 Again this month, for many images, is the ability to click on the image to bring up a larger version. More on the Munich Show by Zbyněk Buřival! 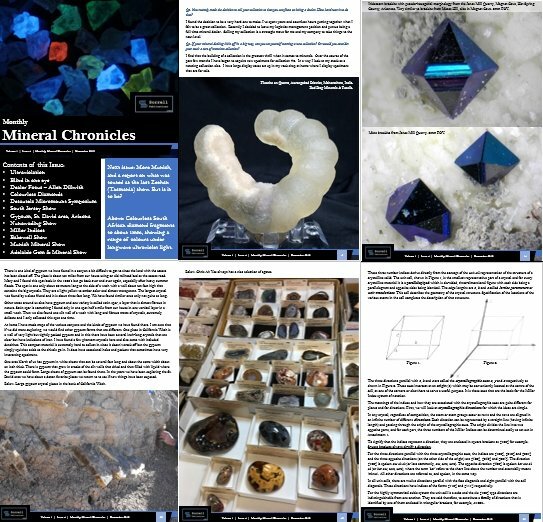 Again this month, for many of the excellent images, is the ability to click on the image to bring up a larger version. Not only do you get a bigger version, but in some cases, the image you see published may be a cropped version. First issue for the new year! 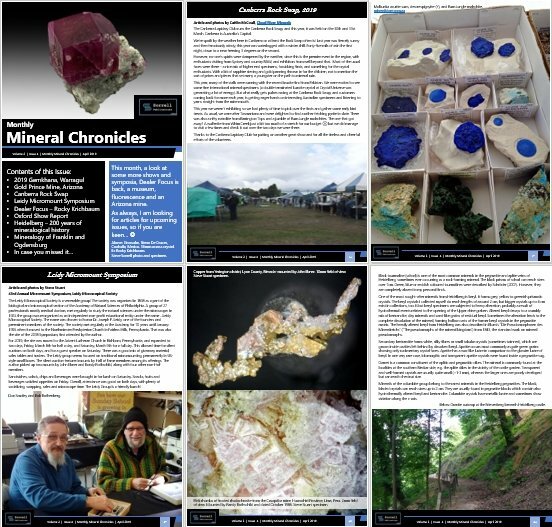 Volume 2 Issue 2 of the Monthly Mineral Chronicles has been released. 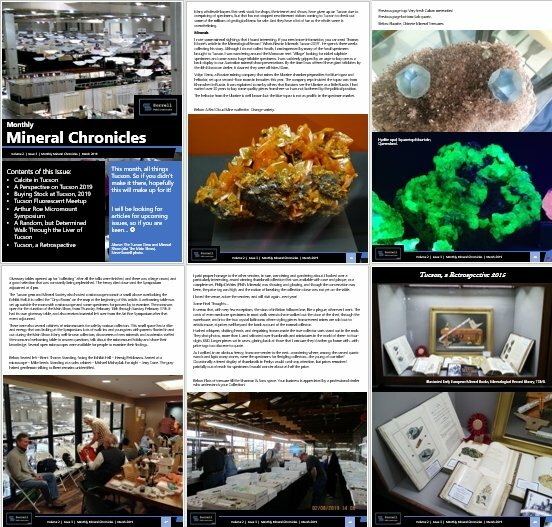 In this issue, we go chasing large garnets in the Czech Republic, take a look at wulfenite, the mineral theme of this weekend's Tucson Show, find out about some interesting Arizona pseudomorphs, and take a virtual tour around the Linz Show in Austria, and the Illawarra Show in New South Wales, Australia! 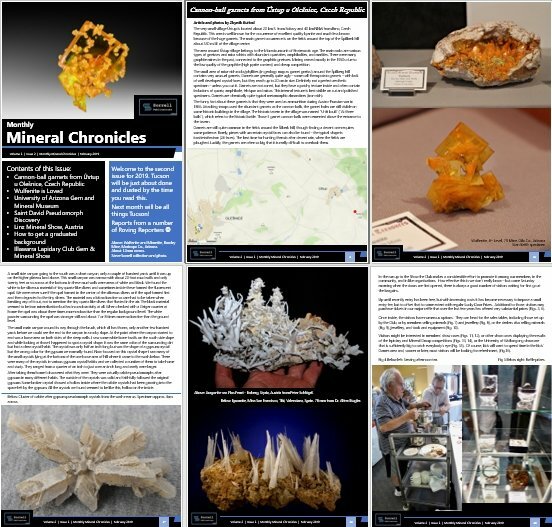 Volume 2 Issue 3 of the Monthly Mineral Chronicles has been released. In this issue, all things Tucson!